A great introductory unilateral movement when performed under bodyweight, can be progressed up to working under heavy loads with barbells and dumb bells gradually overtime making it a much more advanced movement at that point. 4) Drop the back knee down to the floor and return to the start position. Goblet Squats are a great exercise to introduce athletes to loaded squat movements, especially those with limitations in their flexibility/mobility. We use the goblet squat as a progression towards more advanced squat movements within the matrix, but also due to the lower technical demands they are great incorporated in to strength endurance / metabolic conditioning sessions. 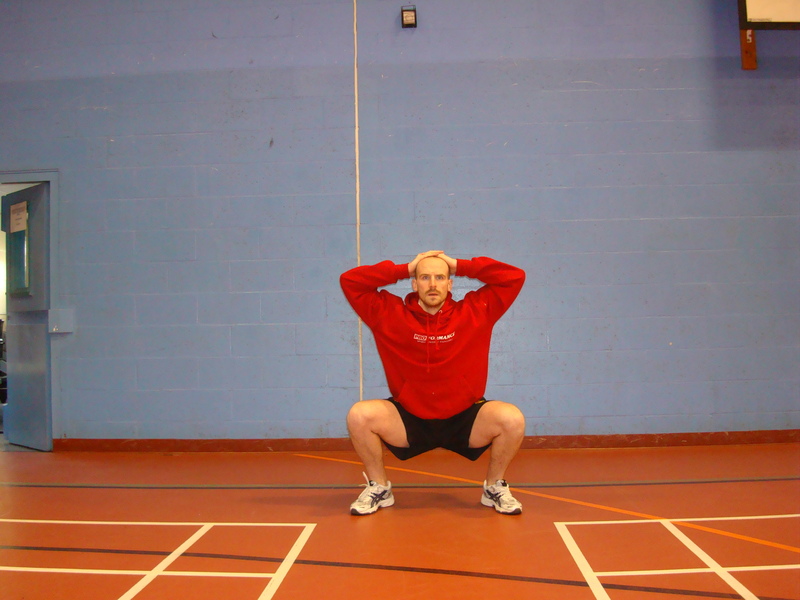 Prerequisites: Athletes must be able to complete a body weight prisoner squat (level 1) with good form i.e. hips below the knees, back straight, heels down. Anyone looking to start strength training whether for your sport or an active lifestyle you should commit some time to learning the correct technique. The biggest limiting factor to training for strength development I see amongst young athletes and a lot of older ones too is a lack of flexibility. Without flexibility it prevents them putting their body in the correct position to perform the strength exercises safely and effectively. Aside from that some people just don’t know how to do the exercises properly, or having too much pride whilst training with someone of a much higher level than them and getting sucked in to lifting heavy loads before they are ready for it. There are other factors such as injury history that may rule out certain exercises as well but that can’t be helped and you’ve just got to learn and adapt your exercise selection accordingly. I always tell the people who train with me that you earn the right to progress to more advanced training by demonstrating competence in the fundamentals. Especially when working with young athletes the emphasis should be on establishing technique, but this is something I apply with older populations too. Bottom line is if the technique isn’t good enough through an exercise, I’m not going to be loading it. 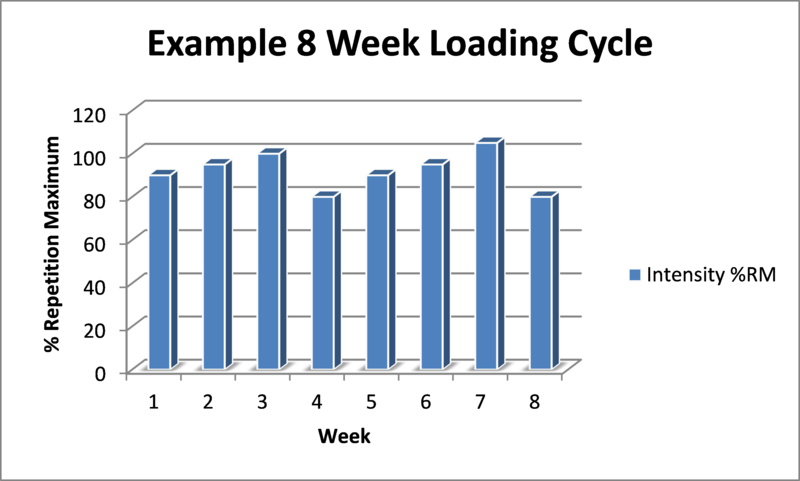 I’ll have an athlete work at it unloaded or use an alternative that can be loaded until the technique is at the required standard. Once the technique is sound the load can be progressed gradually. When it comes to improving performance and people’s functional fitness the fundamental movement I like people able to perform well is the squat. Sometimes there are the quick fixes to a poor squat just by adjusting the stance width to wide (heels at shoulder width) and toes turned out at 5 to 1 on the clock face opening the hips. Or using 5-10 sec holds in the bottom of the prisoner squat or overhead squat (low load) if you’re looking to improve squat range of movement to be able to get your hips below the level of the knee so you can get the real performance benefits. Sometimes though you’ve got to put the hard yards in and tackle those problem areas head on with some flexibility work. If that’s what it takes that’s what it takes. Earn the right. 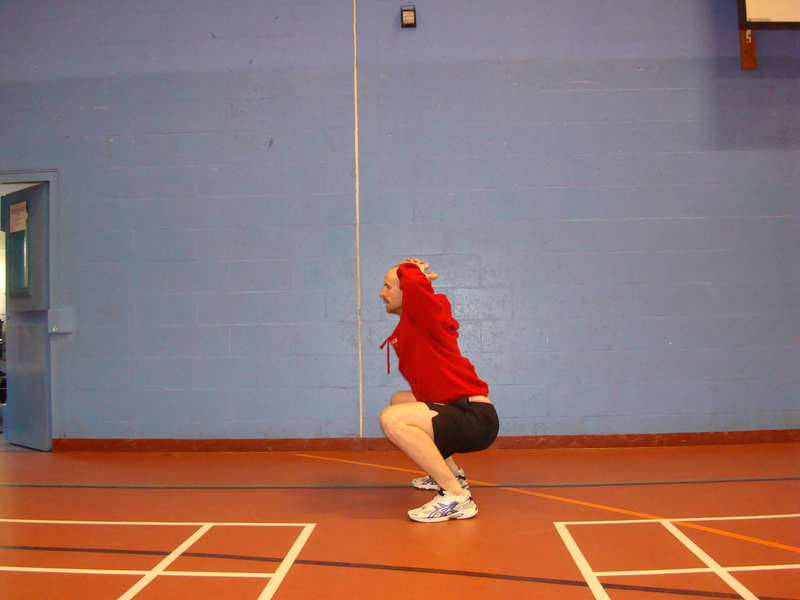 If you can’t squat for any of the reasons mentioned above, get yourself in touch with a decent coach – I’d suggest checking out the UKSCA Accredited members list for your area on www.uksca.org.uk – who can help improve your technique and possibly help resolve any flexibility issues limiting your progress. I use a squat facilitation system put together by Bob Wood of Physical Solutions, it is a great programme for improving most people’s squat, there are some that seem immune to it and destined to cause me sleepless nights as I try to unlock the movement puzzle, but generally it works well in getting athletes where they need to be in order to start strength training.